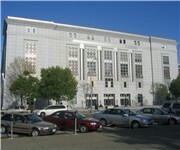 San Francisco Public Library is a free wifi library located in San Francisco CA. "!!!!!!!!!!!!!!!!!!!!!!!!!!!!!!!!!!!!!!!!!!!!!!!!!!!!!!!!!! G A I" - !!! How Would You Rate San Francisco Public Library?